Ara Ophidia and I\D hail from the sunny shithole called Singapore. AO offers up 3 sinister ritual invokations to the Dark. With I\D one can enjoy a leisurely trudge thru the very bowels of this wretched existence. Doomed eternal. An unusual pairing for a split release that somehow rubs off the other in the right way. Act I: Zen pulses, buzzing flies, the ghosts of a guitar riff, distorted voices quiet and cracked. 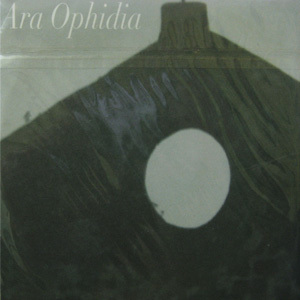 The mysterious Ara Ophidia begins with three tracks (14 minutes) of dark ambience that is as much meditation as it is metal. 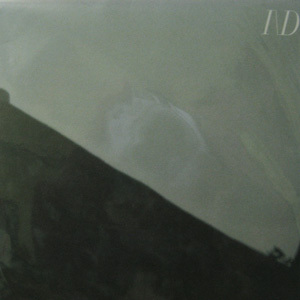 Act II: The boys of I\D follow, storming in on an epic 25-minute track that begins in the cosmos, returns to explore terra firma before reigniting. Features the gonzo sax of Tim O’Dwyer who, some three-quarters of the way in, sounds like late Coltrane riffing off A Night in Tunisia. 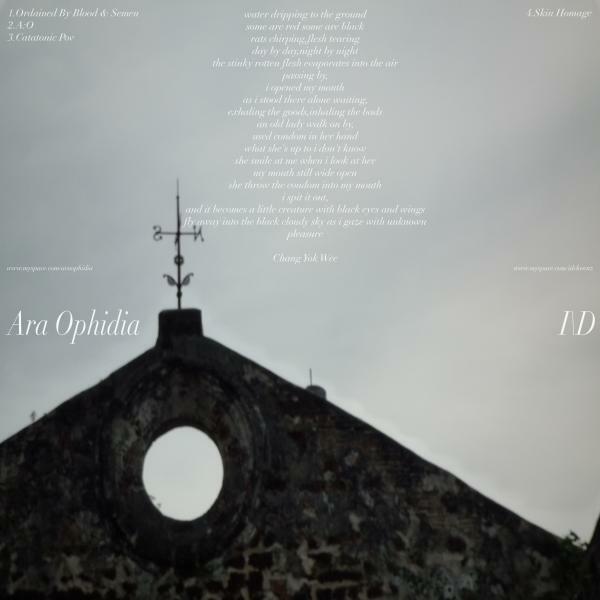 “Ara Ophidia […] perhaps a lo-fi version of some of Cold Meat Industries’ more malevolent output [….] My favorite song is their final one though (“Catatonic POV”), which steps away from their previous template in favor of a simple bit of melancholy guitar ambiance and some ranting vocals that gradually intensify into garbled crackling that threatens to tear the song apart.